Have you ever wanted to be a real life Crime Scene Investigator? Now is your chance to be part of the action. 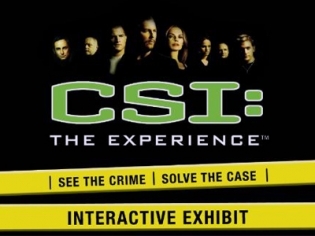 Save $31 and more when you book CSI: The Experience online today! 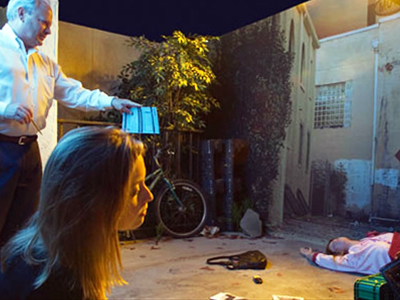 Become a crime scene investigator pro and learn many insider tips and tricks of the trade at the CSI: The Experience at the MGM Grand Hotel and Casino. You have the option to solve one of 3 different scenarios with videos featuring real forensic scientists and members of the CSI cast guiding you along. This is forensic science at your fingertips. You’ll want to collect as much evidence as possible to help you solve the case, because if you do, you’ll get your own diploma. You will examine bullet casings, a hair strand and DNA evidence to help you catch the killer. 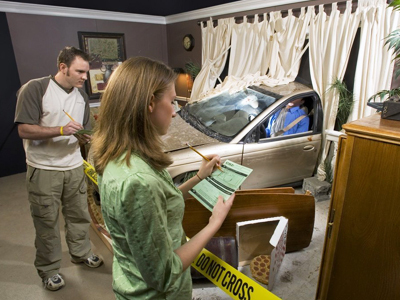 Just like the hit TV show, you will become a Crime Scene Investigator. Such a disappointment. I’ve been a CSI fan for years, and I was excited to see this. Its definitely not worth the money. I was excited for this experience mainly because this sort of thing fascinates me, but I was left rather disappointed. The cost of admission is overpriced for the lack of hands on you get to participate in. The crime scene is blocked off so you have to rely on your eyes for everything. Some of the evidence is hard to spot so I guarantee you’ll miss something. To me, it warrants two stars. I’m a big CSI fan so I enjoyed this on that basis alone. I don’t understand why this attraction is geared towards kids though. It’s a show for adults after all. Surely they should know their target audience better than that. Not worth your money. We went with my 2 children and were disappointed. I didn’t like it it’s something for kids. This is really meant for kids and not even worth it at that! Waste of money. Don’t waste your time… Please take my word for it! We had fun when we did it. lots of fun if you like the show. I don’t care what everyone else says. If you like the show you will enjoy this. Yes, they do give you a lot of the answers but if they didn’t and you couldn’t figure it out… Wouldn’t you be mad? Well, we both liked it and would pay the half price ticket to do the other crimes. Lot of fun. I was super excited for this- but the experience feels more like someone threw it together in their basement. Very disappointed.